Digital recognition programs to empower leaders, and embrace company values in real-time troughout the organization. 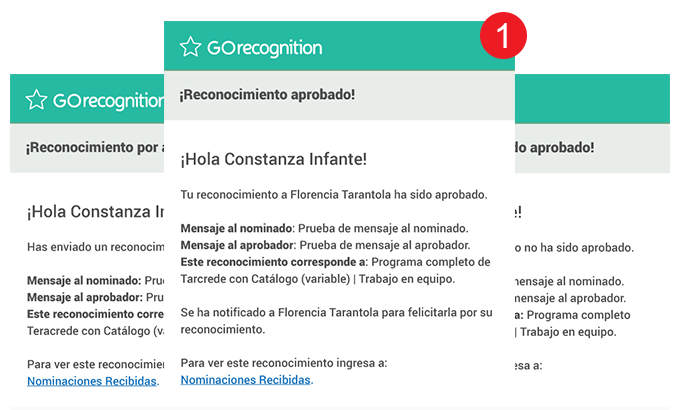 How can GOrecognition help you? 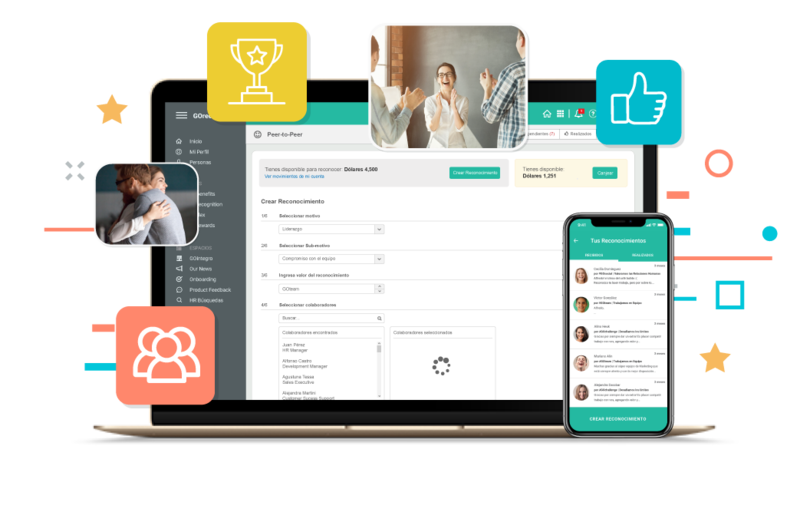 An intuitive and innovative experience to digitally manage different recognition programs within each team, promoting leadership and internal culture. 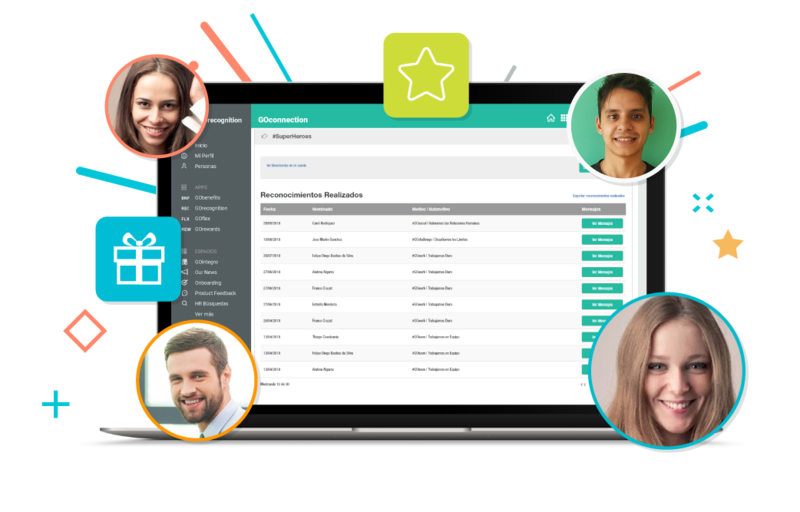 A platform where employees recognize their peers in real-time when they deploy the company’s values, thus promoting the desired behaviors. Manages the nomination, approval and notification process of a recognition, facilitating the use of multiple simultaneous programs. 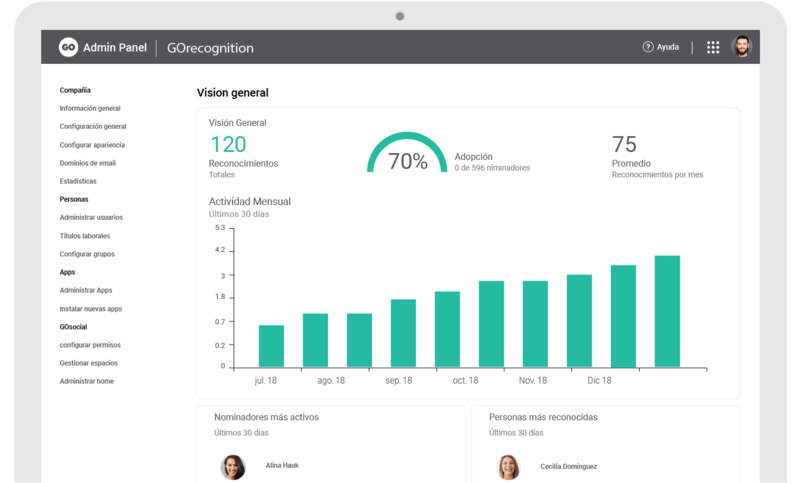 GOrecognition allows you to recognize an employee in the moment, wherever he or she is, maximizing the programs impact and movement. Makes tangible the positive impact of the recognition, assigning cumulative and redeemable points for customizable prizes in an online catalog. Insights that allow you to analyze or discover talents, leaders or opportunities to continually improve programs. Offering the possibility of participation in the recognition process to all employees of the organization. Allowing employees to be recognized in the moment, maximizing the perception of value and desired effect. Automating all recognition processes to enhance the adoption and use by collaborators. Using metrics to discover high-potentials in the organization, and valuations in work teams.